If you think medical advice on healthy living – good nutrients, exercise and stress free existence is a modern medical practice, you might want to think again and join us to discover 5 medical books from 1,000 years ago that explored those exact topics. 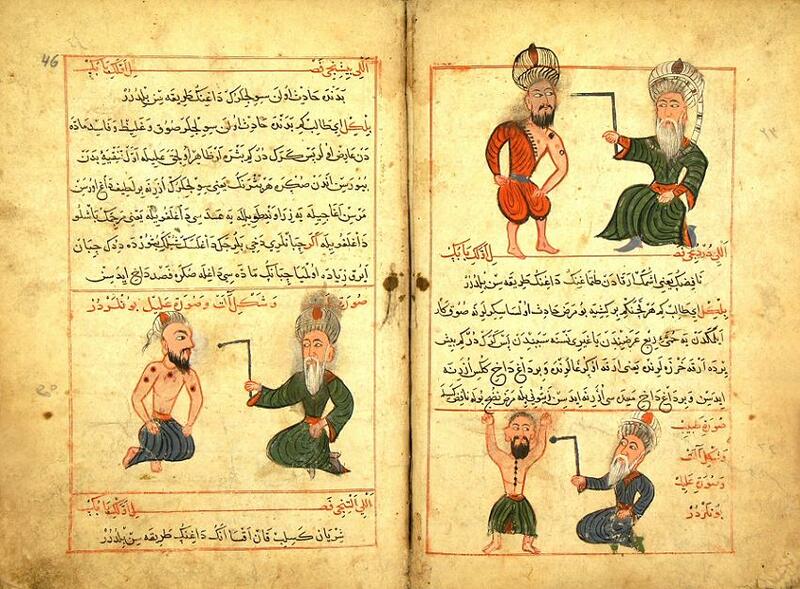 During the Golden Age of Muslim Civilisation medical care was free to all. Hospitals were built in many cities across the Muslim World, and cutting-edge treatments such as cataract operations, regular vaccinations, internal stitching, bone setting, and medical eduction in teaching hospitals were part of standard practice, as was the awareness of the importance of nutrition and exercise in maintaining life and preserving health. The Sheikh al-Ra’is Sharaf al-Mulk Abu ‘Ali al-Husayn b. ‘Abd Allah b. al-Hasan b. ‘Ali Ibn Sina, known in Latin as Avicenna and his most famous works are those on philosophy and medicine. In medicine, one of his better known books is his encyclpedic book, Al Qanun Fi Al-Tibb (The Canon of Medicine)- which was translated into Latin towards the end of the twelfth century CE, and became a reference source for medical studies in the universities of Europe until the end of the seventeenth century. Ibn al-Nafis was the 13th-century physician ‘Alâ’ al-Dîn abu al-Hasan ‘Ali ibn abi al-Hazm al-Qarshi, born at Al-Qarsh near Damascus. He studied medicine in Damascus under the supervision of the distinguished professor Muhadhab al-Din al-Dakhwar in the Al-Nuri hospital’s medical school. Najib ad-Din Abu Hamid Muhammad ibn Ali ibn Umar Samarqandi was a 13th-century Persian physician from Samarqandi. He was a prolific medical writer and expositor of medical ideas, though few details are known of his life. His most famous book was “The Book of Causes and Symptoms”, a comprehensive manual of therapeutics and pathology. The treatises were widely read and often commentaries were written on them. In his work “The Book of Food and Drink for the Healthy People”, he defined the proper nutritive food as that which is able to replace what disintegrates off the constituent elements of the body parts.